Residential concrete flooring systems are ideal for transforming any concrete surface into an attractive, durable, and long lasting finish. Today, epoxy concrete floor systems are used to enhance and prolong the life of interior concrete surfaces of many homes in the London, Kitchener, Hamilton, and Niagara regions. This includes kitchens, bathrooms, living rooms, bedrooms, basements, game rooms, and lofts. We also apply exterior concrete coatings on driveways, walkways, pool decks, verandas, porches, and stamped concrete. 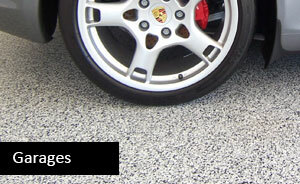 In Southwestern Ontario we are often contacted for garage concrete flooring projects. Due to the wide variety of applications, no one product is perfectly suited for all interior and exterior residential concrete flooring. At Diamond Rock Concrete Solutions, we use a 100% Solid Epoxy Flooring System as well as high quality urethane coatings to ensure your floor surfaces are protected and safe. 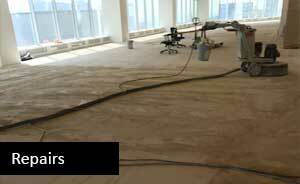 Epoxy and urethane flooring systems outlive all other floor types. 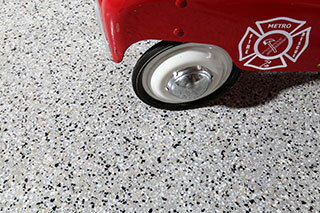 When completed, residential concrete flooring systems can last well beyond 25 years with little maintenance. 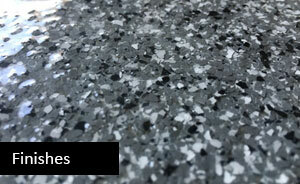 The possibilities for transforming plain looking concrete floors are truly endless. From solid colors, to stains/dyes, to coloured flakes, any part of your home’s concrete surface can become an extraordinary environment. A few popular commercial applications now include seamless vinyl colour chips or quartz granules, multi-coloured stains, metallic pigments, and theme-matching colour combinations. Visit our gallery to see a few projects that may inspire you. Whether you need to protect your garage, driveway, or renovate the concrete surface of your family room, porch, or patio, we have the right coating solution for the job. Our concrete coating solutions are environmentally safe and easy to use. They will also give you many years of enjoyment, no matter what the climate condition.